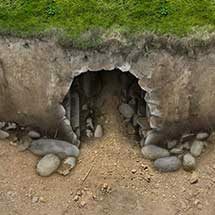 This is a digital downloadable map pack. 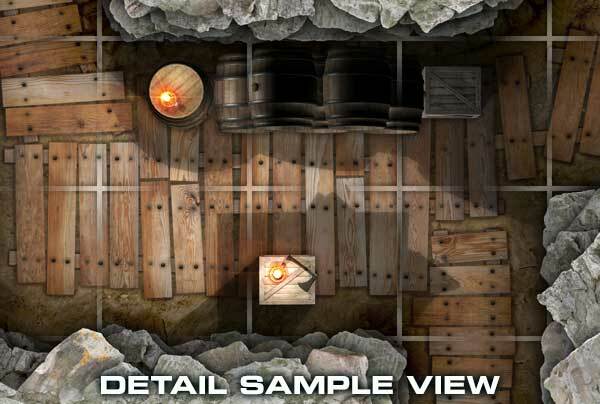 The product contains a number of JPG image files designed for use by Game Masters as a quick ready to use collection of battlefield or Adventure maps. 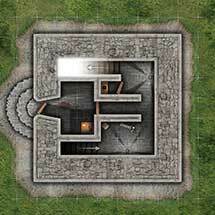 These maps are intended for use in applications such as Fantasy Grounds, Battlegrounds, d20Pro, or Roll20. All Studio WyldFurr maps have been created for an on screen scale of 3 pixels to each real world inch, resulting in each 5ft character square being 180 pixels square. These maps are not intended for printing. 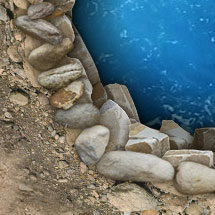 The Tower of Markus is a small stone structure consisting of three levels above ground, and a double like cave system below ground. 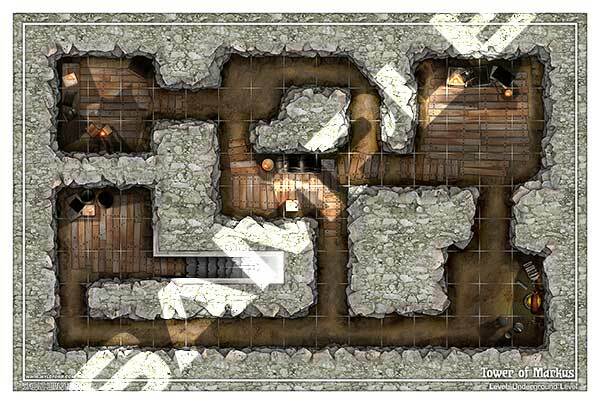 The maps are the perfect gaming asset for a Game Master looking for a small adventure location. 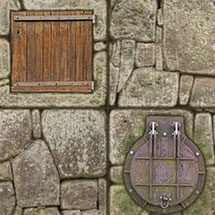 Each of the maps has been sized to match Studio WyldFurr’s virtual tabletop gaming scale of 1 real world inch to 3 screen pixels. 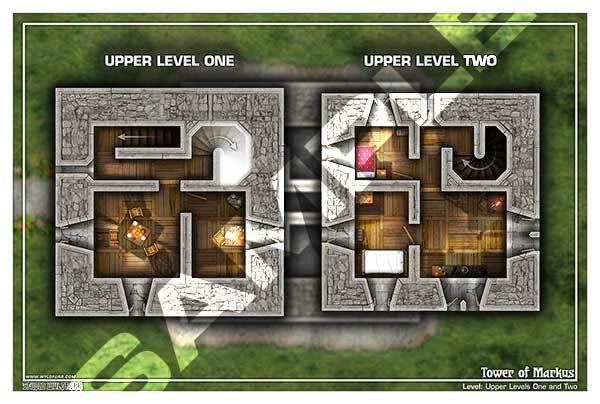 This scale is employed by all of Studio WyldFurr’s virtual tabletop assets, meaning you can use our Tokens with the maps at the same scale. 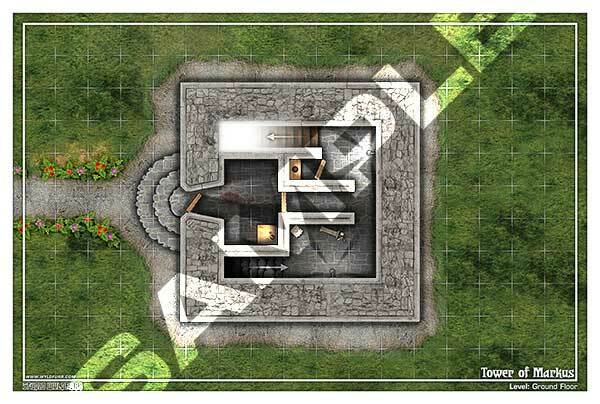 This product is the virtual tabletop version of the Tower of Markus Battle Maps which is a print on demand product available for tabletop miniatures gaming. The print on demand edition of this product consists of three 12″ x 18″ posters, printed in color on deluxe paper stock with square cut corners (no UV Coating). For more information about the print on demand edition of this product, click here.